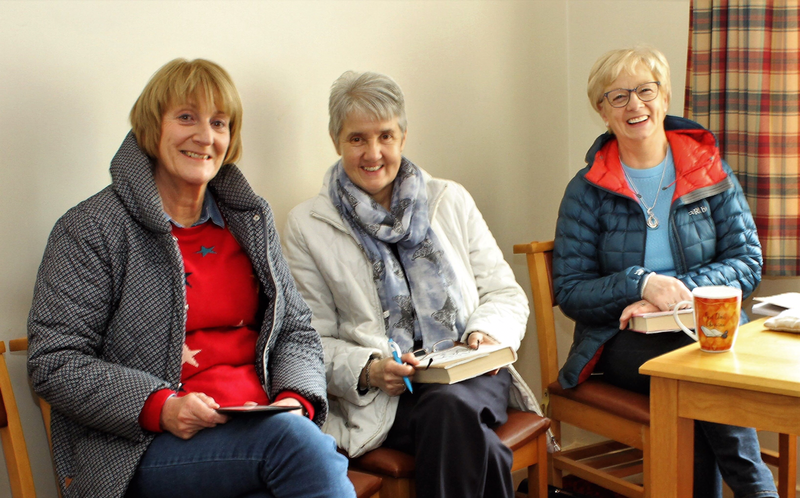 The Book Club has about a dozen enthusiastic, keen readers who meet once a month to share their opinions and views of a chosen book. They do this in a sober, studious manner! In truth, the trademark of this group has become the laughter generated during our discussions and deliberations on whatever book is under consideration. 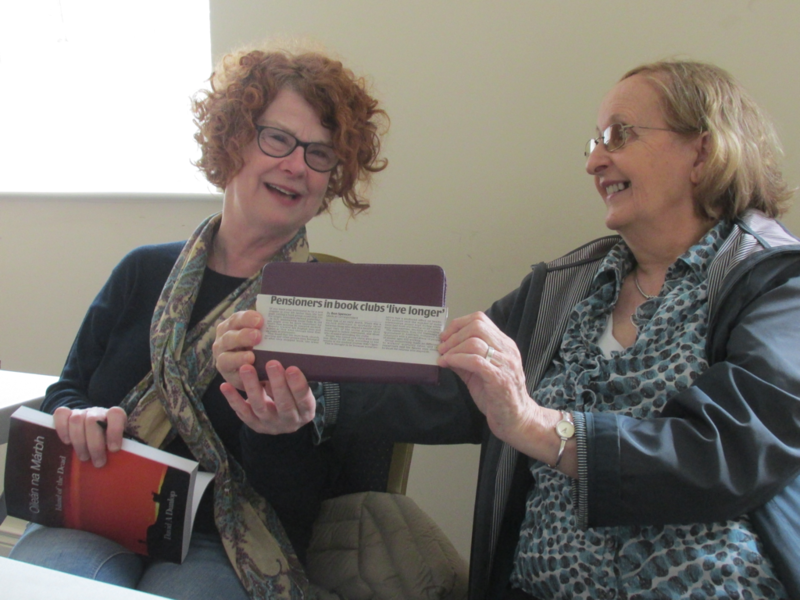 The main aim of the group is enjoyment of reading, sharing experiences and connecting with each other. 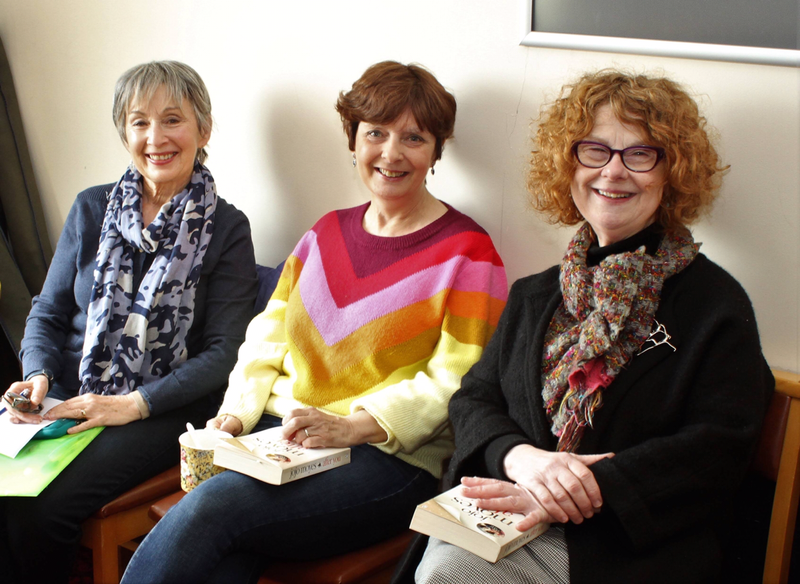 The choice of the monthly book is based on members’ recommendations and this ensures variety, as each of us has a very individual taste in reading matter and we come from very different backgrounds and life paths. It also means that we read books from outside our normal ‘comfort zone,’ which is a good thing as it shakes us out of our normal niche and challenges us to consider different writing styles and discover new writers that we might not have attempted to read before. In the year and a half that we’ve been meeting we have encountered a variety of writers such as David Nicholls (Us), David Dunlop ( Island of the Dead), Eimear O’Callaghan (Belfast Days), Anne Enright (The Green Road), Christina McKenna (My Mother Wore a Yellow Dress), Elaine Gaston (The Lie of the Land - Poems) Chris Cleave (Everyone Brave is Forgiven) Niall Williams (As it is in Heaven) and many others. We are very glad to welcome new readers who will further extend our palette and we intend to look at other forms of writing including Drama, Poetry and Non-Fiction. 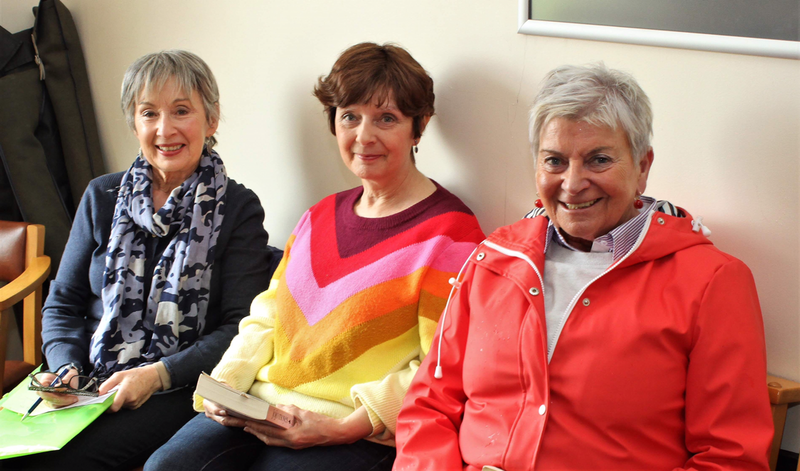 If you are an avid reader and like to talk about what you’ve read, do come along and join us.